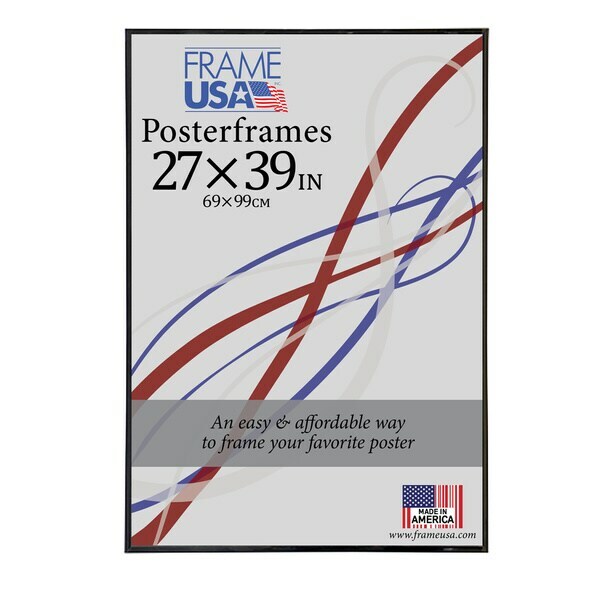 These Hardboard Poster Frames are a great scale and great quality. The black matte surround is really nice and make any art work or posters "pop". This poster frame features Masonite - a firm backing to add more substance. If you have a poster that simply must last, the hardboard frame is the way to go. This frame has four pieces that slide on and off. This frame still hosts the mylar build, shrinkwrap and mitered corners that make our poster frames so popular. This custom-made item will ship within 1-3 business days. I was concerned because of previous reviews calling the glass "cloudy" or "milky." These previous reviewers complaining of lack of transparency APPARENTLY neglected to remove the plastic protective covering from BOTH SIDES of the plexiglass. It's crystal clear and looks great. Get inspired by the hottest trends in living room furniture and decor. Shop our huge selection of living room furniture and decor at Overstock.com. Find rustic decorating ideas for your home. Shop our huge selection of rustic furniture and decor at Overstock.com. Find Coastal decorating ideas for your home. Shop our huge selection of Coastal furniture and decor at Overstock.com. Shop our huge selection and save on mid-century modern furniture and decor. Find mid-century modern decorating ideas for your home at Overstock.com. Tips on Buying Picture Frames from Overstock.com. Our guides provide customers with tips on buying picture frames. Whether you live on a coastal island or on the mainland, you can use the rustic nautical elements of this seaside style to elevate your home decor.